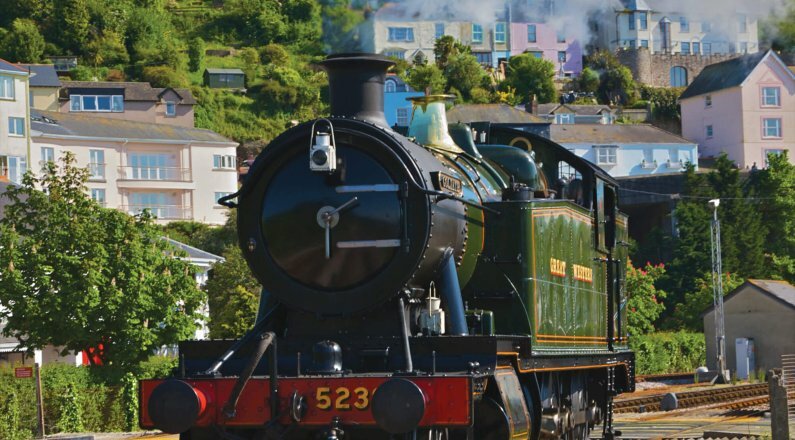 Paignton Kingswear steam railway locomotive. Image shot 2008. Exact date unknown. 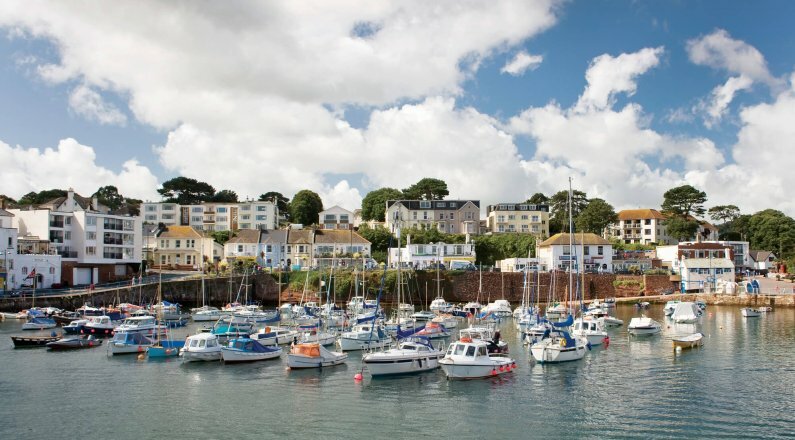 Paignton is a coastal town located between Torquay and Brixham on the South Devon coast. Due to its warm microclimate, this area is known as the English Riviera and is famous for its award winning beaches with their colourfully painted beach huts. Along the seafront you’ll find a Victorian pleasure pier and historic harbour, but Paignton is much more than your average seaside town. 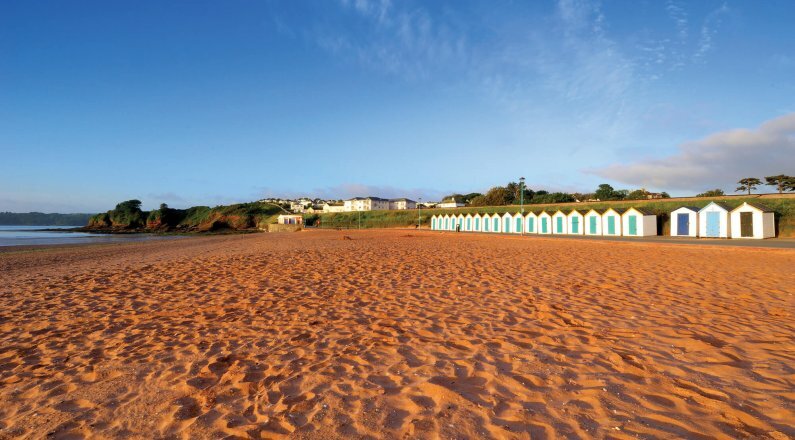 Home to Paignton Zoo, a waterpark, golf course and leisure centre there is lots to see and do. For those who enjoy outdoor pursuits there are a number of bridle paths and footpaths which link to surrounding countryside and coastal paths, and an established cycle network. 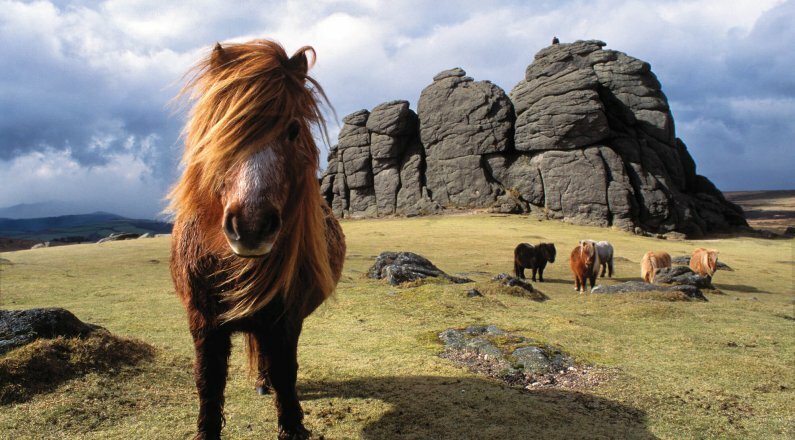 Dartmoor National Park is approximately an hour away and offers a wealth of activities including walking routes, a veriety of cycle routes, horse riding, climbing, letterboxing, geocaching and canoeing. The town boasts a range of local shops, supermarkets and facilities including a hospital, schools, and South Devon College, which offers university level courses in addition to Further Education. There is a good local bus network with further transport links by coach or rail to most major cities. Exeter is less than an hour away, where you can reach London by train in less than three hours. Exeter offers further cultural activities and travel facilities including Exeter International Airport whcih provides easy access to numerous international destinations for business and leisure travel.